The Conover was designed for the Catskill waters. It is an all round searching pattern. Tail : Cream, straw shade. Body : Rabbit, seal's fur and red wool, (muskrat & red wool blended), about 2/3 and 1/3, to claret grey. Hackle : Golden badger without a black edge. 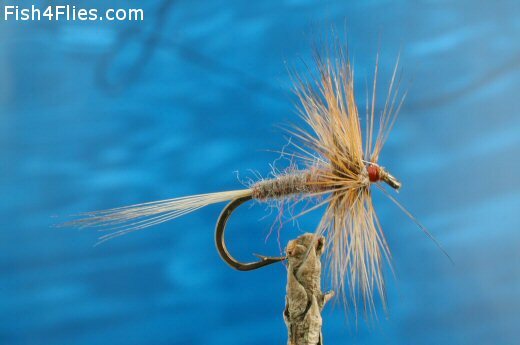 Currently there are no comments about the Conover fly pattern from other fly fishermen yet.